Bring Dreams to life with the adorable Mini Rocking Unicorn by Cuddles Collection. This beautiful unicorn is in need of a young aspiring equestrian to gently break her in. Saddle up’ on the realistic stirrups, reins & saddle and gallop across the nursery with a certain majestic and magical elegance. Imagination knows no bounds so why not enter her into dressage and show off her beautiful soft fluffy tail and thick flowing mane. 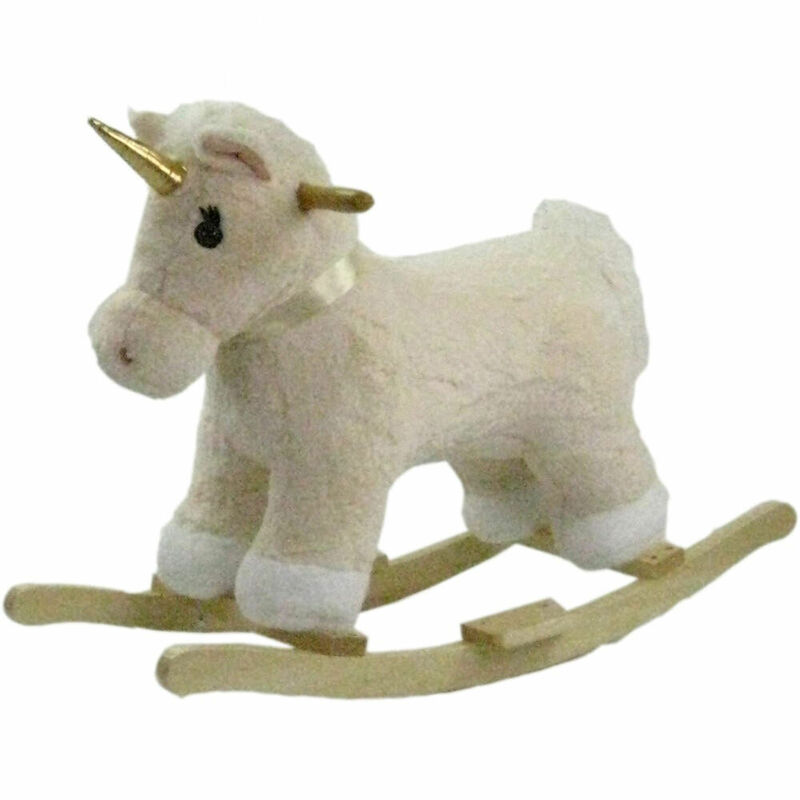 With a handy safety belt this loveable rocking unicorn offers even more stability for your little one.